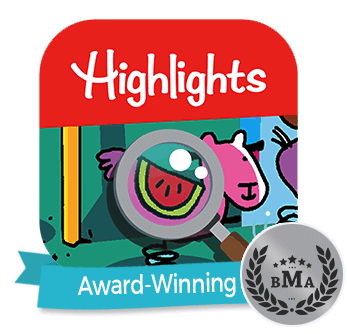 America’s best read kids’ magazine, Highlights for Children, is partnering with Fingerprint, a leading mobile technology company focused on the kids market, to bring the powerful Highlights brand to mobile devices around the world. The 69-year-old much loved brand and its most popular activities will be reimagined for mobile lifestyles, incorporating video and learning activities designed around the children’s play patterns that have evolved over the years. 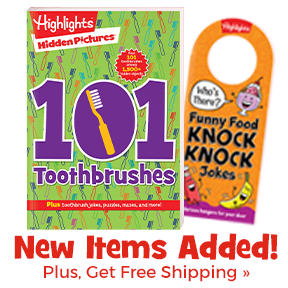 Three generations of families have grown up reading the nation’s number one kids’ magazine, Highlights for Children. Founded in 1946 by educators Garry and Caroline Myers, the company remains family-owned and run, and has stayed true to its aim of delivering “Fun with a Purpose.” Over the past decades the Highlights portfolio has expanded to include puzzle subscriptions: Puzzlemania, Puzzle Buzz, and Eagle Eye Hidden Pictures, as well as magazine titles for younger children: High Five for preschoolers, and Hello, for infants and toddlers. The company has shipped more than one billion magazines and developed hundreds of thousands of activities for children, all of which will play a role in the new mobile platform. The two companies are planning to launch a series of free, paid and subscription experiences over the next year including a daily activity subscription product and an all-new Hidden Pictures puzzle experience. 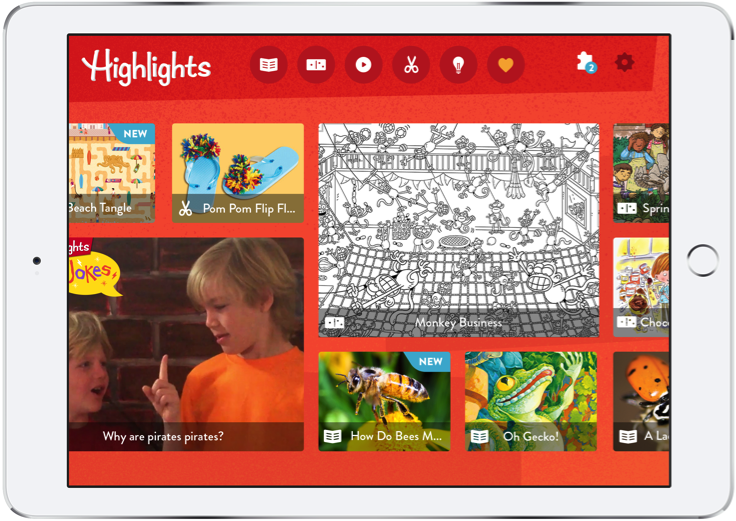 For the first time, kids will get a personalized Highlights experience offering daily content across puzzles, stories, jokes and quizzes, plus a new series of videos to anchor the service. The apps will also include a range of tools to help children create their own content, providing subscribers many opportunities to submit stories, art and ideas, just as they do with the print magazines. The first app will launch in Q4 across all mobile devices. The mobile apps will complement the print magazines, which collectively have more than two million subscribers. In the future, the two companies are looking at an integrated print-digital approach that will offer a seamless cross-media experience for Highlights kids everywhere. Fingerprint is growing rapidly as the leader in curating kids’ app networks for families. It operates platforms that offer the best children’s games and educational apps for Samsung, Sylvan, Corus Entertainment and more, as brands are increasingly recognizing that parents want their children to have smart experiences with their mobile screen time. 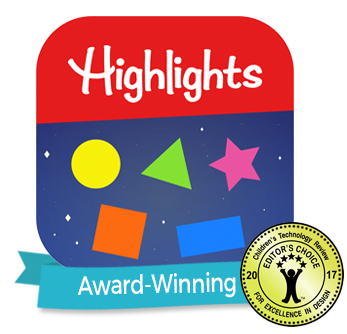 About Highlights for Children, Inc. Devoted to "Fun with a Purpose," global family media brand Highlights for Children, Inc. has helped children become their best selves for generations. 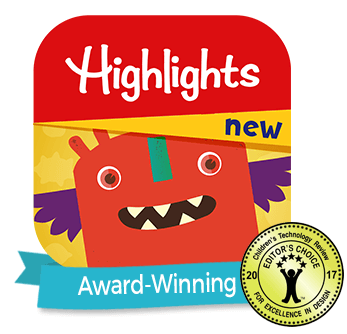 In addition to the flagship magazine, Highlights’ other offerings include a preschool magazine (High Five), an infant magazine (Hello), a children’s book company (Boyds Mills Press), puzzle book clubs, and a variety of digital products.